RUPERT – Originally a 1980 movie, the popular 1980s television show “Fame” has again reinvented itself into a hit Broadway play to be performed at the Wilson Theatre. 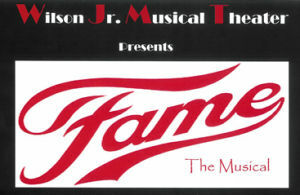 The group “Kids and the Wilson Jr. Musical Theater” (WJMT) plan to put on the popular story of high school youth honing their skills in hopes of making it big, at 7 p.m., Wednesday, July 23, through Saturday, July 26, and again at 7 p.m., Monday, July 28, at the Wilson Theatre located at 610 Fremont Ave. Tickets are $10. About 30 youth between the ages of 12 to 18 will perform in the musical. It shows how gifted and talented teens attending the famed New York High School of the Performing Arts conquer obstacles and continue on with the performing arts following high school. “It delves into these four years of high school, shows their strengths and weakness and how they overcome it,” said WJMT official Kelli McBride, of Burley, who with fellow WJMT official Carrie Churba, also of Burley, is producing the show. One student struggles with dyslexia. “The teachers work with him. They say ‘I’ll help you. I’ll get you there,” she said. Of course, there are also story lines involving high school romances. “It’s the ‘I want to hold your hand, but I’m embarrassed’ type thing,” McBride said. This is the second year that McBride and Churba have overseen a Wilson production. They’re two moms and elementary school teachers who have a passion for theater after having spent many years in the arts. They also wanted to give Mini-Cassia youth the chance to perform during the summer months. The women emphasize that WJMT isn’t just glorified play time for children, but is instead a serious attempt to teach youth about theater while also giving them the chance to entertain via a Hollywood script and music. “This is serious business. It’s all consuming. It’s not just ‘let’s do something for the kids.’ We want it to be a legitimate viable program just for teens. There is plenty of stuff for adults. There are no programs for teens. Ours is the only one,” McBride said. The cast started rehearsing in May and is made of 14 lead speaking parts. All are needed, agreed the women. “Lines or no lines, we can’t have a show without all of them (supporting cast). They all play an integral part. ” Churba said. The cast dedicates their summer months to rehearsals and practices every Tuesday, Thursday and Saturday. “The kids sign a contract that says ‘you are willing to give us your summer.’ It takes their whole summer. Drama kids are the best. They’re good kids. They’re involved in good things outside of theatre, too,” she said. The women have noted much exceptional growth in their young actors and actresses. Youth claiming a lack of ability soon learned they had that ability. “We stretch kids. That’s our theme. If they say they can’t dance, they’ll be dancing by the time we’re done with them. They’ll say ‘we can’t do that,’” and we’ll say ‘yes, you can.’ You’d be surprised,” McBride said. The women have noticed that previously shy youth have blossomed since auditioning for and practicing for the musical. “The thing I love about theater is that not only does it bring kids out of their shell, but makes them much more confident,” Churba said. The women plan to put on a musical every summer. They also guarantee their shows will be family friendly. “Our show is clean. The movie version (of fame) is not clean,” Churba said. “Ours is the Jr. version,” McBride said. The musical comes complete with recorded music and choreographers often help with the dance scenes. “We have high school dancers come in and assist with us. We have people who will come in and do our tech and light and sound. It involves a lot more people than Kelly and us,” Churba said and added about nine people help with the technical aspects of the show. The Wilson Theatre serves as a sponsor for the group. “We’re affiliated with the Wilson. It supports us. I feel like they have just really supported us. They back us. We’re really grateful for that,” McBride said.